Kazutaka Hirota was born in 1976 in Japan. At this time Japanese society, which had been Americanized after WWII had finally become fully industrialized. As a Japanese man living in America, he felt that the Japanese were losing their sense of tradition now more than ever as a byproduct of time and the forgetting of traditional fables. After Hirota moved to America, he met artists who showed a greater interest in Japanese tradition then many Japanese people living in Japan. By way of his paintings he worked to understand these trends and preserve his own cultural values, generating works that hint at a sense of modernized Japanese folklore. In October, 2015, Hirota created an system he called Color Knitting. Working with the color knitting system he created has been helping him to understand what it means to be a Japanese person living in this contemporary world. His artwork strives to combine images specific to traditional Japanese culture and references to tropes recognizable to the world effected by consumerism. 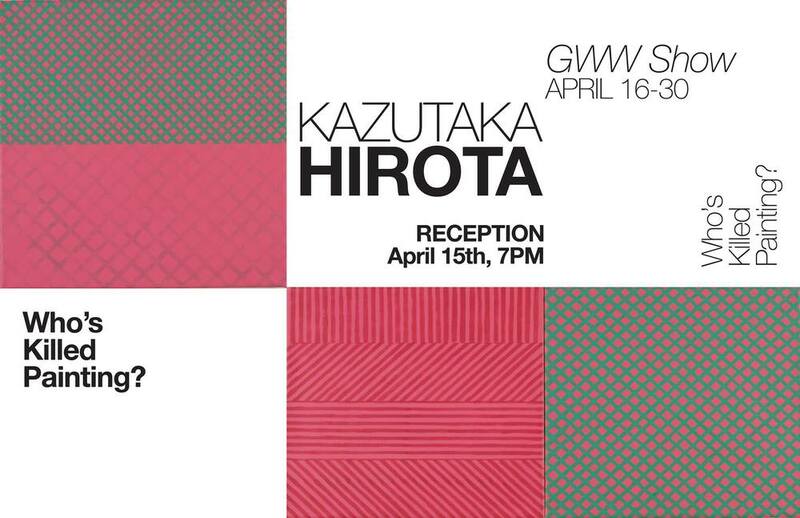 To make his Color Knitting Paintings, Hirota creates patterns with paint by way of cross-hatching color and strips, creating patterns inspired by Japanese fabrics and baskets. For example, his color palette for this series has drawn exclusively from the colors of the toys he bought at Toys r us. However, these colors can be seen universally in all westernized societies.